My Dear Clients, I hope that you are doing well and enjoyed working with A-Pro Home Inspection services. I am in the process of establishing our online presence and brand. Online reviews are an important factor for our business to rank higher with the search engines like Google, Bing and Yahoo so that customers can find us online quickly and easily. I’m personally asking each and every client if they would mind writing a review about A-Pro and Dennis then submit it through Google Places. 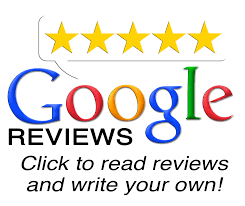 Just click the Google Review icon to get started. A-Pro welcomes informative and insightful reviews. Senior Inspector Garcia is Home Inspector who goes above and beyond! Dennis communicated what he was doing, was very thorough.